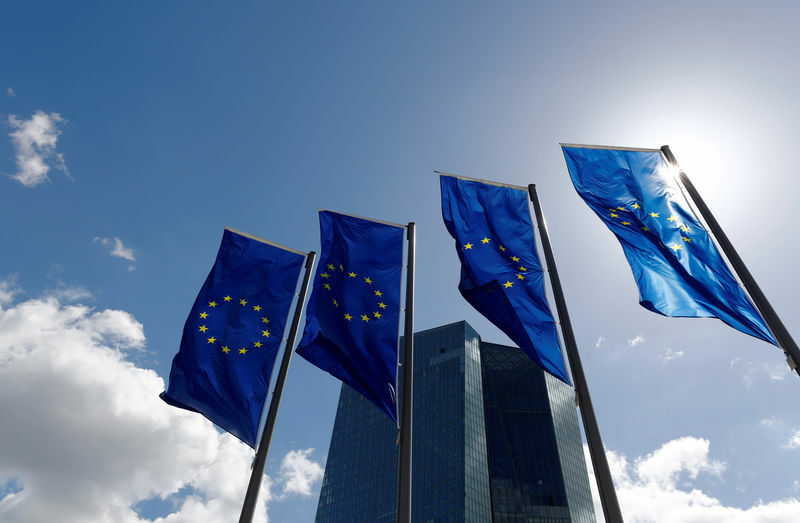 LONDON (Reuters) – Hawkish comments by the European Central Bank pushed borrowing costs across the euro zone higher on Wednesday, with the impact felt deepest in Italy where markets continue to reel from the prospect of big spending policies from a new government. Expectations that the ECB will wind down its bond-buying programme by year-end are plausible, the head of Germany’s central bank added. The remarks, which come just a week ahead of a closely-watched ECB meeting, caught markets off guard. The recent turmoil in Italy had led some investors to bet the ECB would adopt a somewhat more cautious tone. “The market is very sensitive to changes in the central bank outlook and with a change in the ECB’s stance looming, the sensitivity is increasing,” said Jan von Gerich, chief strategist at Nordea. Ten-year German bond yields (DE10YT=RR) rose 5 basis points to 0.42 percent, its biggest daily rise in a week. With the exception of Italy, euro zone bond yields were 5-9 bps higher on the day across the bloc. The euro also rose after Praet’s comments, hitting a 10-day high against the dollar (EUR=). Italian bonds once again stood out as the underperformer as the new government shows no desire to tone down its big-spending plans for the euro zone’s third-biggest economy. Ten-year bond yields jumped 20 basis points to 2.96 percent (IT10YT=RR), while short-dated bond yields were up 33 bps at 1.32 percent (IT2YT=RR). The average daily change in basis points over the last 7 sessions for 2-year Italian bonds has been 65 bps, according to Deutsche Bank (DE:DBKGn). “It is a signal that if we get tighter policy it is these countries that will suffer more than Germany,” Nordea’s Gerich said. UBS analysts estimate the ambitious fiscal spending plans of Italy’s new government would blow out its fiscal deficit to 4.4 of GDP and push its primary surplus from 1.9 percent of GDP to well into negative territory at minus 3.9 percent by 2020. “There has been a bit of reaction to Praet. But at the moment it’s difficult to disentangle market response to what’s going on in the BTP market,” said Chris Scicluna, head of economic research at Daiwa Capital Markets. As bond markets sold off after the ECB comments, money market pricing suggested investors were ratchet up their rate-hike bets once more. Money markets now price roughly a 90 percent chance that the ECB will hike rates by July next year . Last week, amid the Italy turmoil, a hike was not fully priced in until October 2019. Elsewhere, U.S. ten-year Treasury yields (US10YT=RR) edged 2 basis points higher at 2.94 percent, not far away from the psychologically significant 3 percent levels where it traded recently as markets geared up for a rate hike next week.